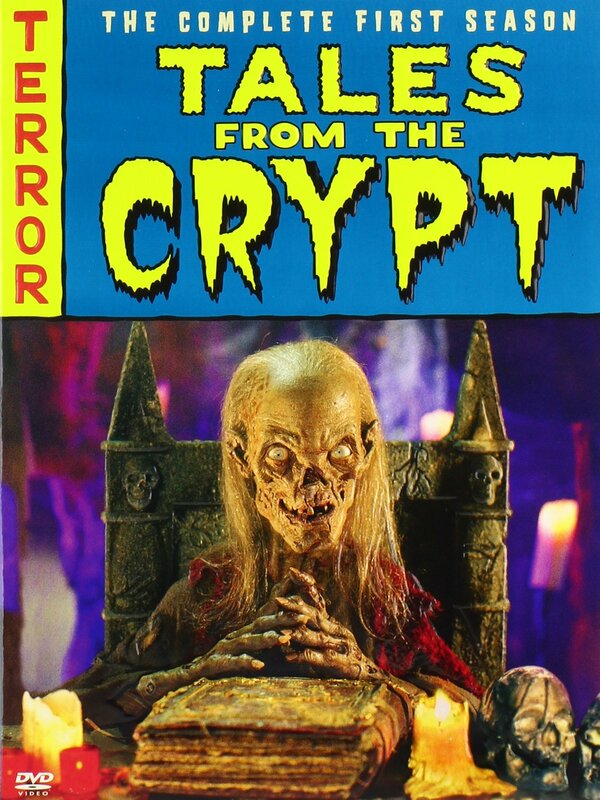 Tales from the Crypt, based on the old EC Comics of the same name, was a horror anthology series that ran on HBO from 1989 to 1996. It features guest actors from the likes of Arnold Schwarzenegger and Demi Moore and also guest directors such as Robert Zemeckis and William Friedkin and interesting for its time, it doesn’t shy away from the profanity, scenes of a sexual nature and of course the gore. Let it be known that this is my first time watching this series – better late than never right? – So I’m going in blind without nostalgia holding me back – but hey, that’s okay. Because this first season holds up pretty nicely. The Complete First Season is only short as it features six episodes – perhaps because HBO was testing its appeal? – So for any newcomers to the series, these six episodes, each based on a comic from the series’ run, should be enough to wet your whistle to see if you like these gnarly stories. The stories themselves are introduced by The Cryptkeeper (voiced by John Kassir), a ghoul with a love for bad puns and telling macabre stories. He’s always a wonderful host to drop in to visit and those puns are hilarious. And how is this collection? The episodes display what the anthology series is famous – or is that infamous? – for, with some episodes being a wacky blackly comic affair while others are a gruesome cautionary tale. With stories this different and with the show finding its feet in its first year, you’re bound to come across some bumps in the road along with some dud episodes that don’t quite gel as well as the others in the collection. 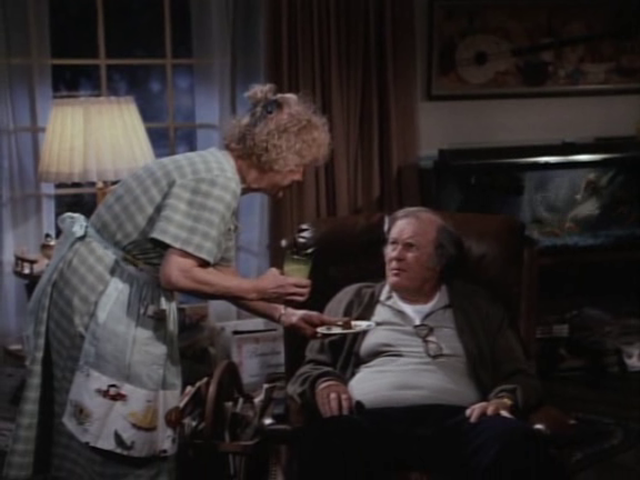 Lover Come Hack To Me, for example, is an excellent example of how the different tone shifting throughout an episode can not work all too well. In the case of this episode, the tone’s shift from bleak horror to horror-comedy doesn’t fit well with the over all nastiness of that tale. And All Through The House is a bleak, albeit energetic affair – directed by Robert Zemeckis and featuring a psychotic stranger dressed in a santa suit. It’s gnarly and brutal and straight to the point. Personally my favourite. 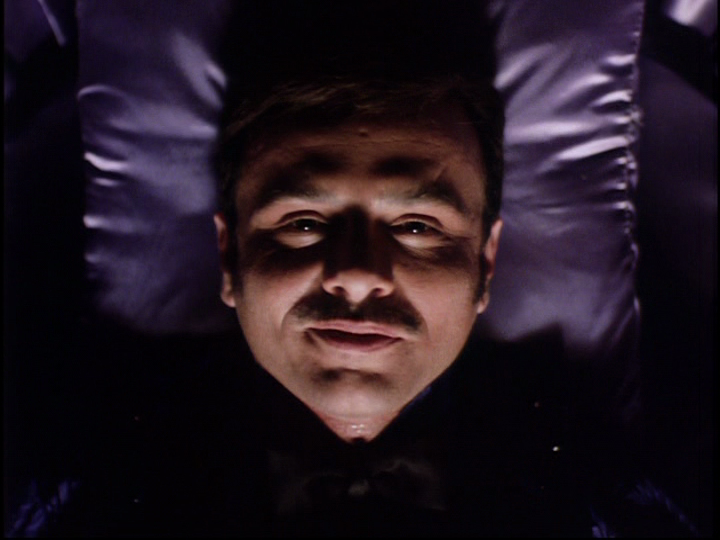 Dig That Cat…He’s Real Gone features Joe Pantoliano has a man who undergoes an experiment to have a cat’s nine lives transferred to him. It’s a highlight of the short season and though its predictable in its outcome, it’s got a few laughs and has such a jet-black sense of humour that the whole spectacle appeals to me. Collection Completed finishes the first season of the long running anthology and features more of that jet black humour as a man that finds himself growing irritated with his wife’s love for adopting animals. Things turn quite sick from there, in true Tales from the Crypt fashion. Let it be said that Tales from the Crypt never shies away from the goods here. When it comes time to get nasty, the show definitely gets nasty. There is blood and buckets of it – there is dismembered fingers galore and rotting faces and all sorts of nastiness. So: should you be a horror fan and choose to watch this series, you won’t be disappointed. There’s definitely a ghoulish time to be had here.